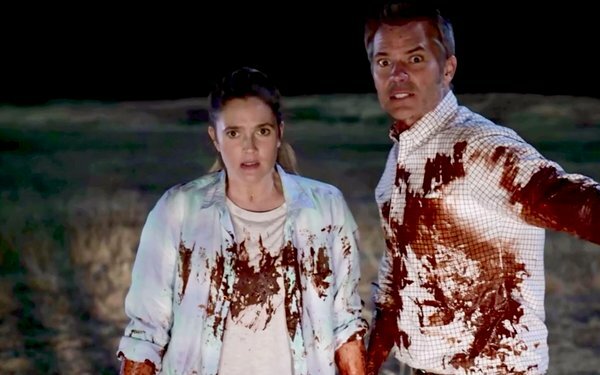 For season two of “Santa Clarita Diet,” Netflix needed to spark interest and conversation among women predisposed to romantic comedies and prepare them for a horror comedy series featuring a successful real estate agent who becomes a cannibal. It needed to move them from the comfortable “rom-com” to the uncomfortable “zom-com.” Its audience of Millennial women defined themselves by being in the know and ahead of what’s about to trend. So to spark their attention, it abandoned conventional tactics and created the next trend its ladies would covet, the “Santa Clarita Diet”—a new lifestyle that addressed their biggest passions: professional success, health, and beauty. First, the brand appealed to its target’s interest in professional success and worked with Realtor.com and Zillow to get Joel and Sheila listed as top real-estate agents and an L.A. #powercouple. It reached more than 50 million people through faux home listings and native search integrations, creating the perception that Joel and Sheila were the agents if you were looking to sell your home. Next, it worked with Drybar salons in 100 U.S. cities and offered complimentary blowouts of Sheila’s signature voluptuous locks. Netflix enlisted a handful of the hottest Instagram influencers to post their blowouts and tout the new season on their social handles. Finally, it stayed ahead of the juice trend through a partnership with Gilt and Project Juice and white-labeled 18 new juices with flavors like “No Guts No Glory” to give its audience the undead glow. Engagement rates on the native units exceeded typical metrics on real estate sites by two to four times. Foot traffic was massive, culminating in 12,000 blowouts and 90 million earned media impressions, three times the amount of paid impressions. The flash sale on Gilt sold out almost immediately, doubling the benchmark from previous campaigns. Create partnerships with companies to leverage their reach. Use influencers to spread the word about your product. Dive into a potentially unsavory scene feet first in order to breakthrough the clutter. This won the Media Plan category in MediaPost’s 2018 Creative Media Awards.